Exposure to biological and chemical contaminants can pose serious health consequences. A failure to properly remove such substances can contribute to unhealthy and dangerous environments. SERVPRO® of Hancock County is trained to safely remove biohazards and dispose of them properly in accordance with OSHA and health regulations. We remove and dispose of bodily fluids, tissue and other potentially pathogenic substances resulting from accident, trauma, crime or death. Trained SERVPRO® of Hancock County Professionals clean, disinfect and deodorize the structure. SERVPRO® of Hancock County realizes many of the chemicals used in the production of illegal drugs such as methamphetamine are volatile and can leave harmful residues throughout a structure. We follow federal and state guidelines to properly clean all surfaces. Do you think you have microbial growth in your home? 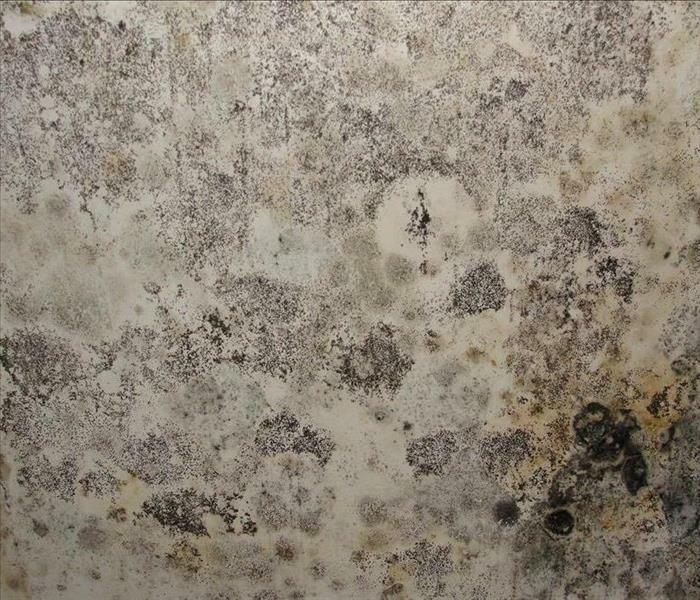 Not all "black mold" is toxic. We can test this for you. If your home or business has a mold problem, we can inspect and assess your property and use our specialized training, equipment, and expertise to remediation for your mold infestation. Call us today at 419-299-3774 or email our Production Manager, Chase Perkins at cperkins@SERVPROhancockcounty.com to schedule a free visual inspection at your home or business. What are IICRC Standards and why is it important? Have you ever taken the time to fully research the company in which you are using for your restoration and/or cleanup services? Are they working up to IICRC standards? Do they have 24 hour response services? If not, then you should reconsider the company you’re using. SERVPRO® of Hancock County is the expert restoration company in the area for water and fire cleanup. We are Certified by the Institute of Inspection Cleaning and Restoration Certification (IICRC), which means that our technicians use high quality products, advanced knowledge, along with strategic techniques, to restore your home, business, contents, and more! Having an IICRC Certified team enter your home will assure you that the job is being performed accurately, with proper planning, and according to strict guidelines that result in a great outcome! Our team at SERVPRO® of Hancock County makes customer service their top priority, and when we leave, it’ll look "Like it never even happened.®” You can learn more about IICRC Standards here. Our staff constantly undergoes continuing education to ensure we remain a leader in the restoration industry. Rest assured we take care of your home or business as though it was our own. If you are in need of remediation services, reach out to us 24/7/365 at 419-299-3774 to speak with staff today! We’re excited to announce our 2nd Annual Open House Expo for 2019! We’ll be opening our doors to the public to meet and greet with our staff, enjoy good food, good company and a live demonstration! We’ll be offering door prizes, yard games, lunch, and the chance to meet and talk with our Heroes! You can RSVP for this FREE event with Deborah Mericle at 419-299-3774 or by emailing her at dmericle@SERVPROhancockcounty.com. Our crews will be available for questions and to share their vast knowledge with our customers. We will also have a live demonstration to show what our crews do when you have remediation needs. Our Heroes are the first to your home or business when disaster strikes. Our trained technicians will take you through each of the steps to make sure you know that first, We’re Here to Help and our goal is to make your disaster “Like it never even happened®”. This is a great opportunity to meet the Heroes that come in to your home. Check out our Social Findlay Event Page for more information! mitigation vendor at water loss work sites. You will learn emergency tips which can drastically reduce the cost of the claim if performed in a timely manner. We will demonstrate examples of work performed to mitigate water losses. 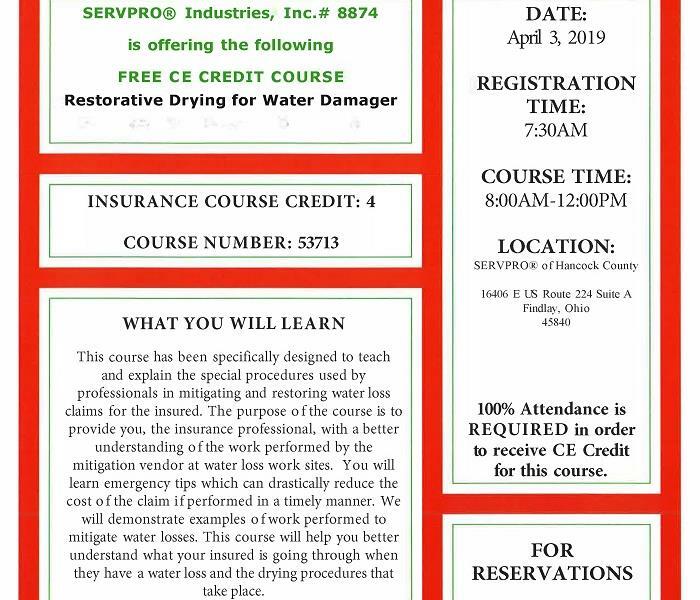 This course will help you better understand what your insured is going through when they have a water loss and the drying procedures that take place. We're excited for our local insurance agents and adjusters to join us in learning about Restorative Drying for Water Damage. Our owner, Rick Franks has 20+ years of experience in the Restoration business. If you're interested in getting a list of all our future classes, check out our Events page at SERVPRO® of Hancock County Events. You can also email Deborah Mericle for our class offerings this year or to secure your spot today! We’ve previously talked about how microbial growth can find its way into your home. Moisture, rain fall, leaking, and floods can all be a cause to growth in the home. However, do you know what areas to check for growth? The bathroom, kitchen and basement are the most susceptible rooms in the home, given that they typically have the largest amount of moisture. In addition to the following areas, you should check your washer for leaks, growth in or around seals, and in tubing. -Under the sink, especially around the pipes where water could leak or accumulate. -Near the ventilation system. Although it is a vent for moisture, growth could be possible. -In and around seals of the refrigerator. -Around windows seals and edges. -Walls and ceiling, especially near windows or cracks. -Flooring in dark, moist areas. Did you know SERVPRO® of Hancock County offers Free Inspections? If you suspect you have microbial growth in your home, call us today at 419-299-3774 to set up a free inspection. Our Production Manager, Chase Perkins can come to your home or business and do a visual inspection. Upon completion of the inspection, he can provide you with his findings and an estimate. Inspections can be set up by calling us at 419-299-3774 or emailing Chase at cperkins@SERVPROhancockcounty.com. SERVPRO® of Hancock County offers much more than fire and water damage clean up and restoration. We can assist your business with cleaning services as well! Whether the cleaning maintenance requires duct cleaning, grease removal, equipment cleaning, carpet cleaning, or more. We can do it all. When your customers enter your place of business, you want them to enter a clean and odor free environment. Having a business that is healthy, clean, and odor free will also help the retention of loyal customers. This is especially the case if you own a restaurant. Regular cleaning also helps with the distribution of germs and dust. Ducts can become lined with dirt, dust, and germs, which are spread throughout the area when the ventilation is in use. Duct cleaning may help maintain the distribution of that debris, helping to keep your business cleaner in the long run. This will also assist the ventilation system to work properly and longer. Call us at 419-299-3774 to set up a Free Inspection for your business today! Safety is our primary concern for our clients and staff when facing natural disasters. Our trained technicians under go continuing education courses to remain the leader in our field. We're here to help with any of your mitigation needs. Remember, safety first for you and your family. We're just a phone call away at 419-299-3774 for your water, fire, mold or biohazard needs. What does that mean? 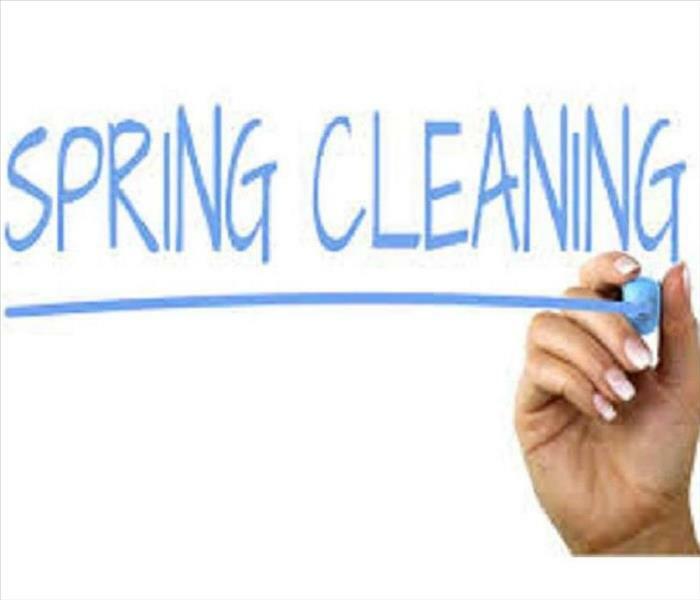 It's Spring Cleaning time! We Spring clean our homes, but have you ever considered cleaning your business as well?! Industrial ducts and carpeting can hold much more dirt than you would think. Our crew is trained to perform specialized duct cleaning including anti-microbial misting. Dirty ventilation systems can lead to poor air quality for your clients, guests and employees. It can also be the culprit for high levels of dust, pollen, and odors. As we know, Spring time brings allergy season for most people. What better way to stay ahead of the seasonal allergies? Our technicians will thoroughly inspect your heating and air conditioning systems, and ensure that with cleaning, the ventilation will improve in the area. Having your ducts cleaned can save you money in the long run, and create a better environment for you, your employees, and your customers. Restore energy efficiency over time, and reduce the possibility of microbial growth with ventilation cleaning services from SERVPRO® of Hancock County. Call us at 419-299-3774 or email Chase Perkins, Production Manager, to set a free inspection and quote. We're here to help you with all your commercial needs. The warm weather is almost upon us. I’m sure you have plans involving outdoor activities, vacations, gardening, and more! Need a few more to add to that list of yours? Try a fire safety Spring clean out! Having a garage, basement, or attic full of old and unwanted papers can cause you much more damage than you think. 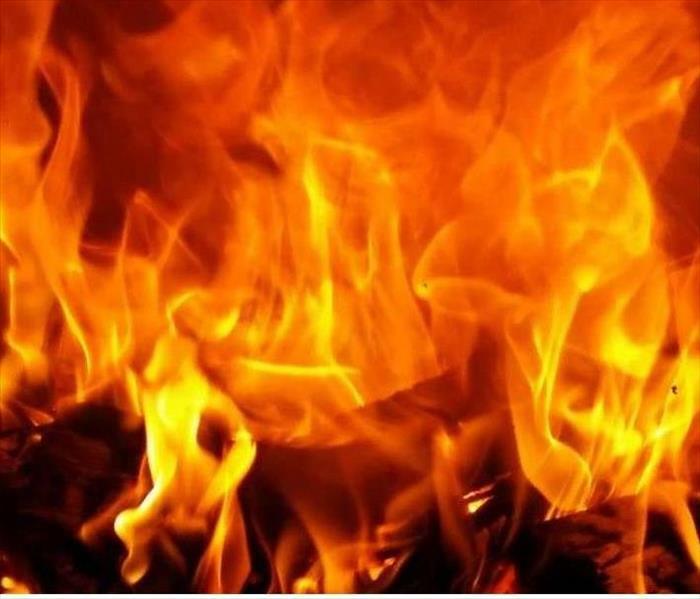 If you were to experience a fire, those papers would only add fuel to the flames! Unnecessary or unwanted items can be thrown out, sold, or donated to a local charity. Check your fire detector batteries regularly. Never use old or borrowed batteries. It's recommended to automatically change your batteries at time changes. Don't forget to change the carbon monoxide detector! Many people own extra containers of gasoline. If this is true for you as well, it’s important that you store the gasoline outside of your home. It’s recommended to be kept in a shed or garage, in an easily accessible spot. Barbecues are great for family and friends! Be sure to check your propane tanks for leaks and cracks. As always, if you find yourself in the midst of a fire, call 9-1-1 immediately. Then, call SERVPRO® of Hancock County for your clean up and restoration services! 3/29/2019 - Do you think you have microbial growth in your home? 3/29/2019 - What are IICRC Standards and why is it important?